What are the top 10 things to see in Bhutan? We’ve been taking travellers to Bhutan for 30 years on treks, tours and Tailor Made holidays, and we’ve accumulated a lot of knowledge about this enigmatic Himalayan kingdom. One of the questions we most often get asked is what are the must see sights of Bhutan? So, here’s our top 10 guide to the unmissable cultural and scenic attractions of the Thunder Dragon Kingdom. 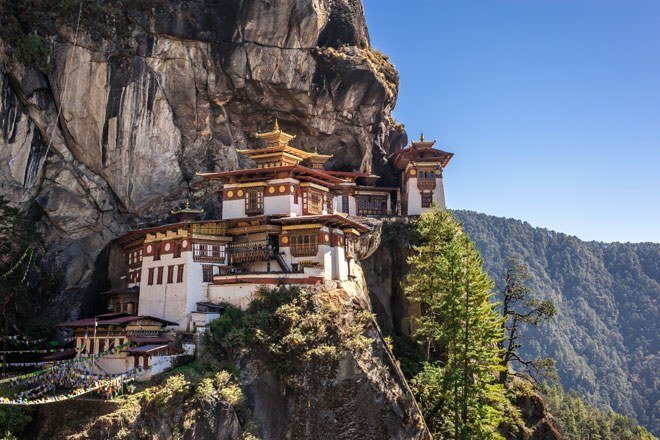 Perched dramatically on a cliff above the Paro Valley, Taktsang Monastery is undoubtedly Bhutan’s premier attraction and has genuine wow factor. Legend has it that Guru Padma Sambhava, flew from Tibet on the back of a tiger and landed where the temple now stands but visitors can reach it by more conventional means – on a steep, climb up from the valley floor. The effort is rewarded with great views of the red, white and gold monastery, bedecked with colourful prayer flags. The Bhutanese people just love a festival, and numerous large and small tsechus are held throughout the country each year. Two of the most important are Paro Tsechu in the spring and Thimphu in the autumn, both of which attract large crowds of locals and visitors alike. Festivals are a vibrant spectacle of colour, costume, music and dance that serve as both sacred and social celebrations for the Bhutanese. On the high road between Thimphu and Punakha is one of Bhutan’s most scenic viewpoints, the Dochu La Pass. Marked by 108 memorial chortens, the 10,000ft high pass offers fabulous, panoramic views (on a clear day) of the mountains of the eastern Himalaya including Gangkar Punsum – Bhutan’s highest peak at 7,550m/24,770ft. 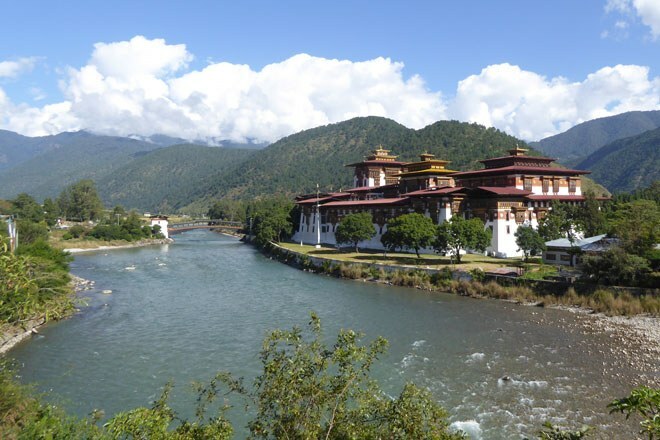 In a land of many dzongs (fortress/monasteries) Punakha is one of the most significant and spectacular. Situated at the confluence of two rivers, its steep white walls topped with red and gold roofs and embellished with ornately carved wooden windows give it a marvellous photogenic quality. Inside, the dzong is a stunning showcase for Bhutanese craftsmanship and contains many important artifacts and religious treasures. The capital of Bhutan, Thimphu has many attractions to entertain and educate visitors including a textile museum where you can see intricate, hand-woven cloth being produced; a fascinating riverside market full of local produce and wares and an impressive dzong which is the official residence of the King of Bhutan. Thimphu is also a great place to pick up a souvenir. 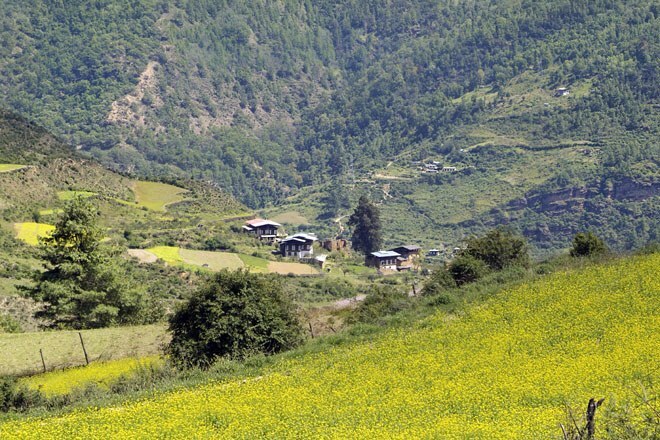 Cross the Cheli La Pass to the southwest of Paro and you will enter the beautiful Haa Valley. Far away from the main tourist trails, it’s a peaceful, verdant valley that reveals a way of life little changed by the modern world. Along with some lovely walks in the delightful countryside, the Haa Valley has villages, temples, a dzong and an old town to explore. 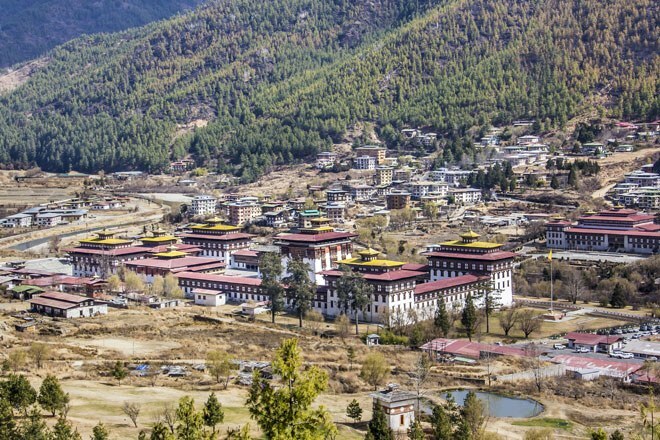 Known as the spiritual and cultural heart of Bhutan, the Bumthang region actually comprises four fertile valleys and is home to several of the country’s oldest and most atmospheric temples and monasteries. 7th century Jambay Lakhang, Jakar dzong – the castle of the white bird – and Kurje Lakhang are all high on the must see list, whilst Jakar town is a great place to see traditional handicrafts in action. Archery is Bhutan’s national sport and is always a very entertaining spectacle for the visitor. Unlike our rather quiet, sedate version of the sport Bhutanese archery involves much good natured banter between opposing teams and spectators as well as celebratory drinking, singing and dancing. If you want to see the local people at play then you should really include watching a game of archery on any visit to Bhutan. 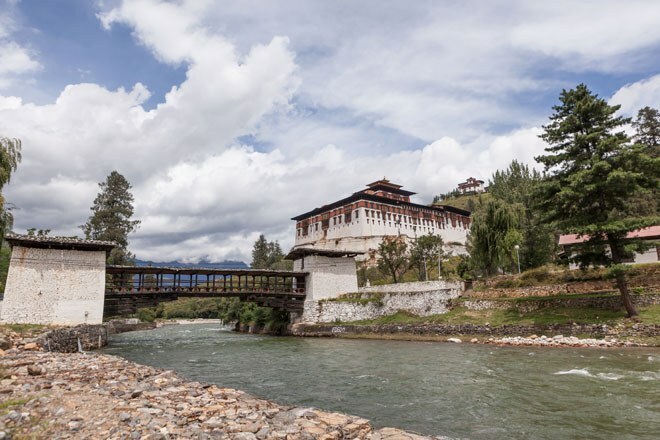 Built on a steep hillside, the imposing whitewashed walls of the Dzong are visible throughout the Paro valley and evidence its important defensive, strategic and political role in the kingdom. It’s also one of the finest examples of Bhutanese architecture you will see. Home to the Paro Tsechu in the spring it also has one of Bhutan’s most photographed sights with its traditional wooden, covered bridge. Gantey, or Phobjika as the area is also called, is an unspoilt, wide glacial valley that is famed primarily for the Black-necked cranes that overwinter there. They arrive in late October and stay until early spring before flying back to Siberia. Revered in local culture there is even a festival held in their honour each winter. 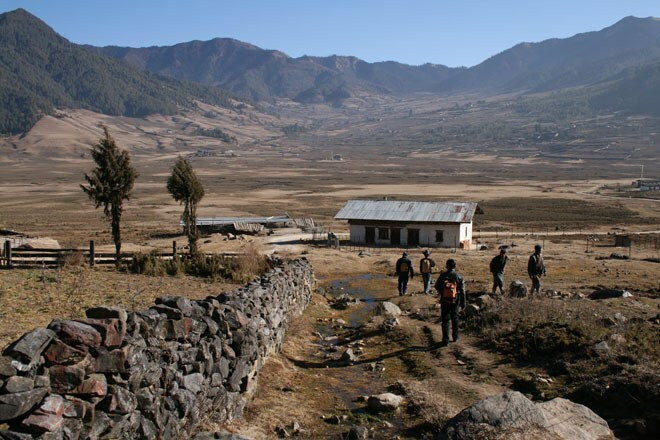 The Gantey Valley is also a great place to enjoy a walk and stay in a village homestay for a real insight into traditional Bhutanese life. 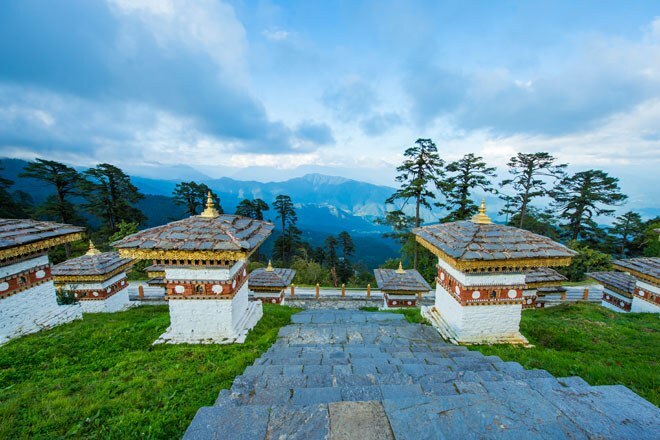 So that's our guide to the Top 10 things to do in Bhutan and you can see all of these must-see sights on our Bhutan treks, cultural tours and walking holidays. 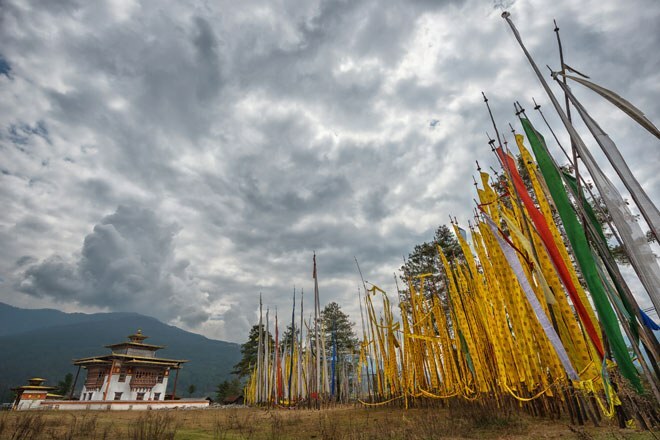 Next time, we'll tell you our Top 10 things to do in Bhutan. 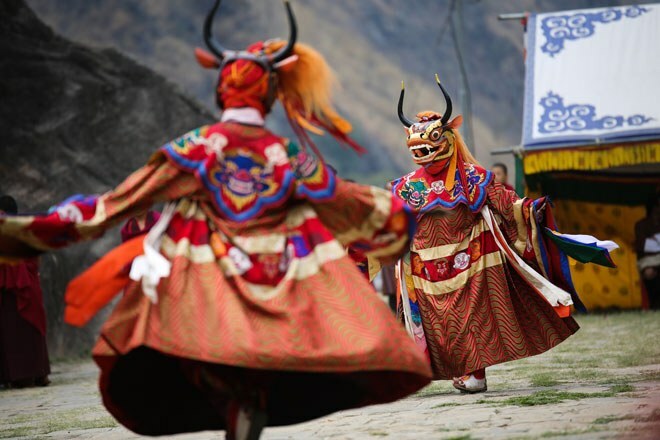 View our full range of holidays in Bhutan or contact our travel experts to discuss a Tailor Made trip to Bhutan.